﻿ CORAL Magazine January Back Issues Sale! Our most popular sale of the year is back for a second showing – the January Back-Issue sale is here! Copies of CORAL Magazine back-issues are available for just $5 each, still in their poly wrappers! Don’t miss out on this rare opportunity to fill in the gaps in your CORAL library! Remember, once they’re gone, they’re gone – several issues of CORAL are no longer available through our online store and have become true collectors items! 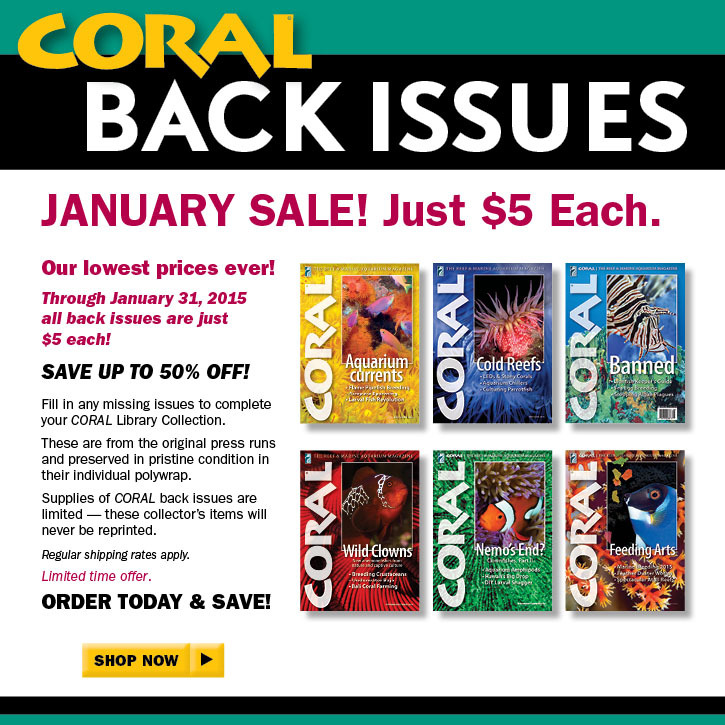 CORAL Magazine Back Issue Sale 2015 – Just $5 each through January 31st, 2015. SHOP NOW!